Colin Kaepernick has started his way to protest against the racial injustice. Thus, it is not going to be just a regular season for the San Francisco 49ers quarterback. He didn’t stand when the national anthem was played during the third pre-season game against the Green Bay Packers on Friday. Kaepernick supported the protest and took a stand for the good cause. He sat down when the National Anthem was played. He said that it is more than football for him. Moreover, he didn’t inform about his action to his teammates prior to the game. To it, he said that he didn’t seek approval. 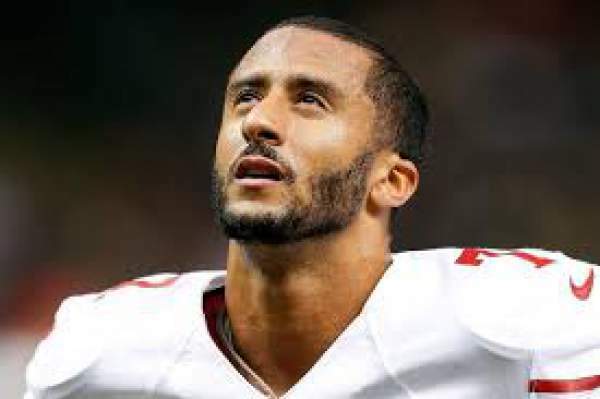 However, in the official statement, 49ers stated that it respected his right to use the moment to take a political stance. Further, the statement implied that National Anthem is and will remain an important part of the pre-game ceremony. American citizens have the right to freedom of religion and freedom of expression, and they respect it. Influential black people have been taking advantage of their platform to stand up against the racism. Over the past two years, these have been improved. Some of the examples are as follows. The November 2014 case in which players for the St. Louis Rams ran onto the field in a “Hands Up, Don’t Shoot” gesture. They did it along with the protestors in Ferguson where former Ferguson Police Officer Darren Wilson killed 18-year-old Michael Brown. Then, in the next month, NBA Players Derrick Rose, Lebron James, and Kyrie Irving were seen in “I Can’t Breathe” shirts to honor the death of 43-year-old Eric Garner. An NYPD officer Daniel Panteleo put him in an illegal chokehold and there, he died. Minnesota Lynx’s black players were seen wearing “Black Lives Matter” shirt during warm up following the deaths of Philando Castille and Alton Sterling by police in early July. Even Olympics gold medalist Simone Manuel protested against the Police brutality. These kind of incidents by the black people are letting the nation and national sports associations know that they are not going to bear the racism more.